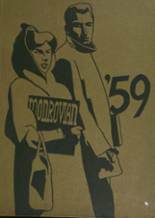 Know James Monroe High Class of 1959 graduates that are NOT on this List? Help us Update the 1959 Class List by adding missing names. I would love to have a class reunion with my fellow classmates from l959..> This would be our 50 year class reunion. If anyone has information about this please contact me. I was Ann Genovese (Cookie) in James Monroe High School. More 1959 alumni from James Monroe HS Bronx, NY have posted profiles on Classmates.com®. Click here to register for free at Classmates.com® and view other 1959 alumni. Missing some friends from James Monroe High that graduated with you in 1959? Check the list below that shows the James Monroe Bronx, NY class of '59. If you are an alumn of James Monroe High you should register now in the alumni directory. We also encourage you to interact with the rest of the alumni on this site. You can find old friends, share photos and stay updated on the latest school news.